Proactive Insights & Action Recommendations – Download Paper Now! Commerce businesses will only withstand competition, if their teams make the right decisions in their day-to-day work – based on data insights. 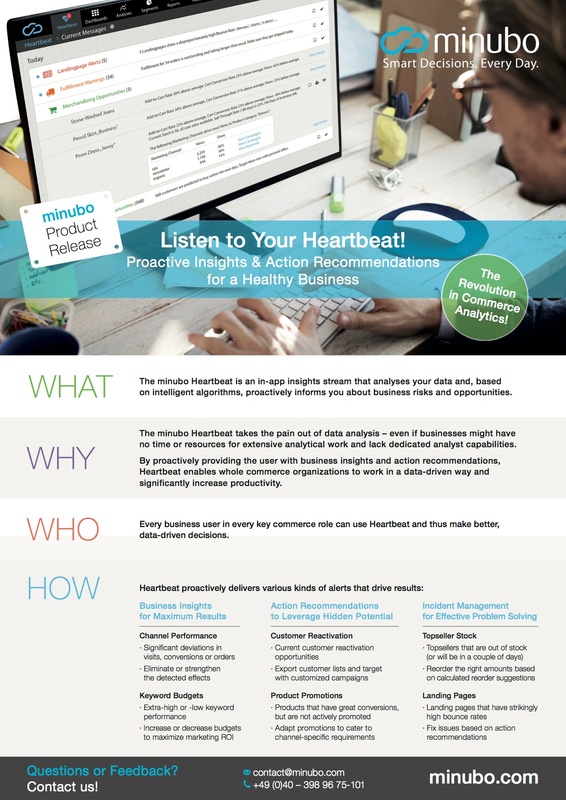 The minubo Heartbeat enables your organization to do just that: It analyses your data and proactively informs your team about business risks and opportunities – as well as how to leverage them.